Wednesday was a good day at the gym. I always love working on my legs! 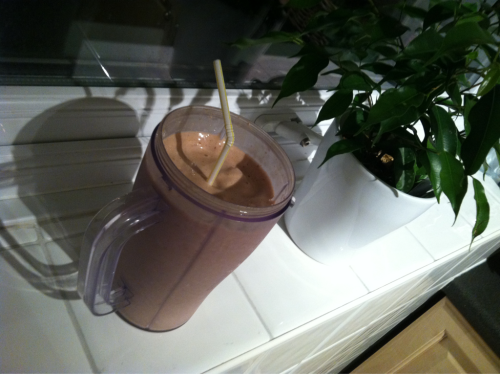 The reward when I got home, was BodyRock (as per my last post) and a banana smoothie. I am trying to recreate the Reeces Milkshake we got from ShakeTastic - and I almost did it!